TWO men are allegedly behind the armed robbery of a service station in Windsor on Sunday. Around 7pm one of the men approached the counter and threatened the 27-year-old female staff member while indicating they had a weapon. 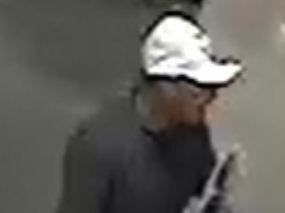 He demanded cash from the till before both men fled on Lutwyche Road with a sum of money. Both men were wearing dark clothing, with long sleeve tops. One man had a white peak cap on and the other man wore a white mask to cover his face.